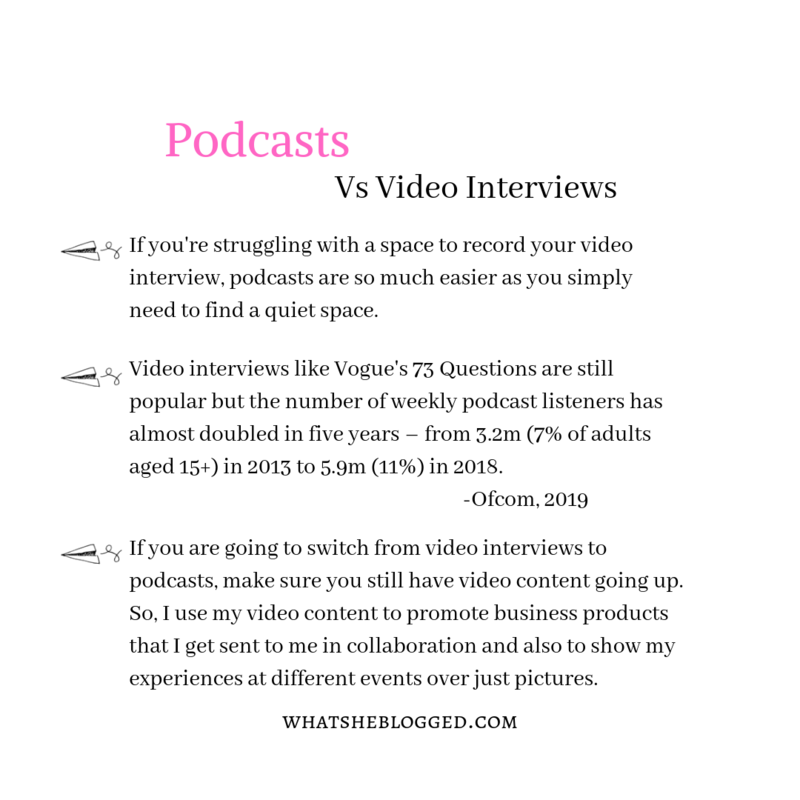 Podcasts are fast becoming the new video interview in the realm of blogging and deciding whether to move towards podcasts has been in and out of my thoughts for a while now. 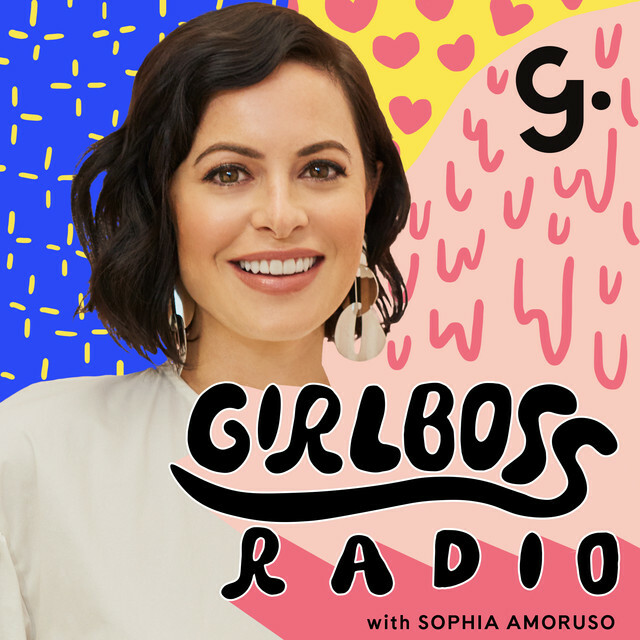 Over the past 2 years, female podcasters have been bobbing up to the surface more and more with demand for content on the woman entrepreneur and radio interviews favoured over video. I’m definitely not saying video interviews are gone by any means but it seems its all about how you use video content now, and people want businesses to be more creative and innovative and catch up with our new technological world and its advances. The latest trend is podcasts. So, how are they useful? You can get some pretty cool looking microphones but it’s not always easy knowing which one to pick and how much you should really be investing in. There are two types of microphones; dynamic and condenser. Dynamic microphones are robust with less feedback, which is good if you aren’t in a soundproof studio. They are less expensive than condenser microphones, but that benefit comes with a poorer dynamic range. Condenser microphones are more expensive and more sensitive with a higher dynamic range. Microphones have sound pickup patterns that are either omnidirectional, bidirectional, or cardioid. These terms refer to the area of the microphone that picks up the sound. If you aren’t in a soundproof studio, you probably want a cardioid microphone, which only picks up the sound directly in front of it. If you need to share a microphone with a co-host, bidirectional is the way to go. All this may seem like a lot to think about, but there are microphones on the market that have both USB and XLR plugins, are either dynamic or condenser mics, and have a choice of pickup patterns. You just pick one for your needs. You’ll also need a computer/laptop, I have a MacBook Air and this has been perfect for me as I can add extra storage by buying an external hard drive. You’ll also need decent editing software, Adobe are pretty good and are who I edit with but there are some great ones already installed on Macbooks like GarageBand. Lastly, I would recommend some headphones…yes the big goofy ones because they can cancel out sound. They are also great for helping you concentrate on your interviews that you’ll probably do on Skype if it’s difficult to travel to the other person. Plus Skype is free! You can record your audio interview by using your QuickTime Player app and select ‘new audio recording’ and off you pop. Host Farnoosh Torabi is an award-winning financial strategist, TV host and bestselling author. So Money brings inspiring money strategies and stories straight from today’s top business minds, authors and influencers. What was their financial journey and how do they master their money today? Hear from Tony Robbins, Arianna Huffington, Tim Ferriss and many other inspiring individuals. Learn about their financial philosophies, wins, failures and habits. Plus, their secret guilty pleasures. On Fridays, tune in as Farnoosh answers your biggest questions about money, career, guests, you name it. 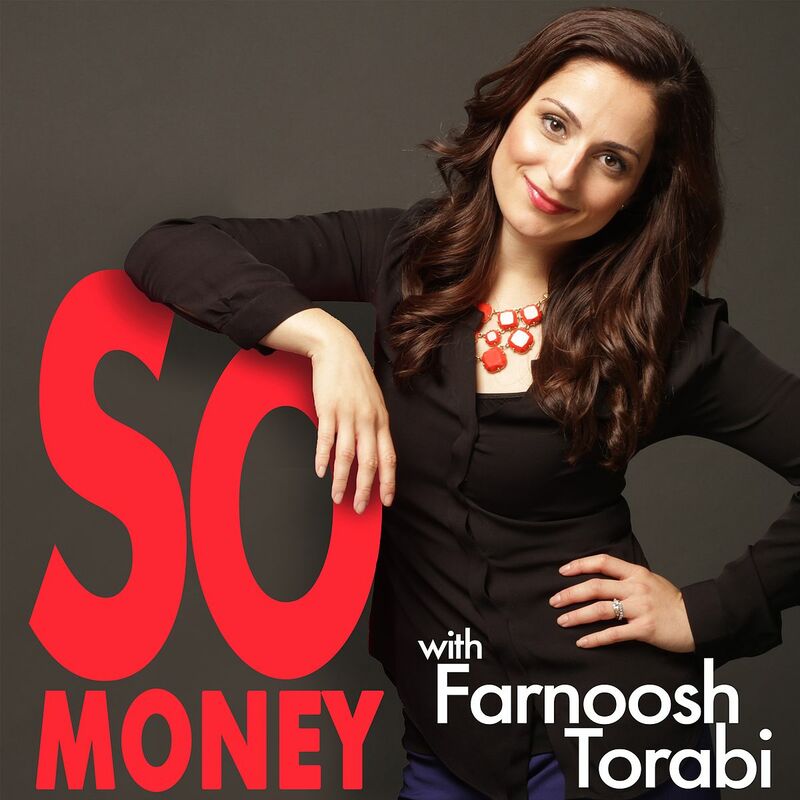 Submit your question for Farnoosh at www.SoMoneyPodcast.com. This is Real Talk Radio, the podcast that’s filled with refreshingly honest conversations about the wonderful mess of being human. In a world that’s hell-bent on selling us things to “fix” ourselves, this show represents a small but powerful rebellion by people who just want to be real. 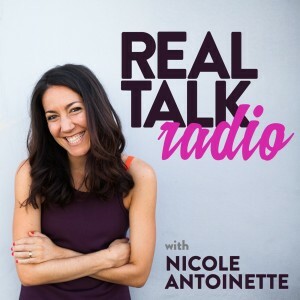 During each eight-episode season, show host Nicole Antoinette sits down with a wide range of beautifully imperfect people – athletes, writers, entrepreneurs, parents, coaches, activists, adventurers, artists, and more – to dive into the truth of what’s really going on in their lives. The goal is for each episode to feel like a sigh of relief, reminding you that we’re all just doing the best we can and that no matter what we’re in this together. 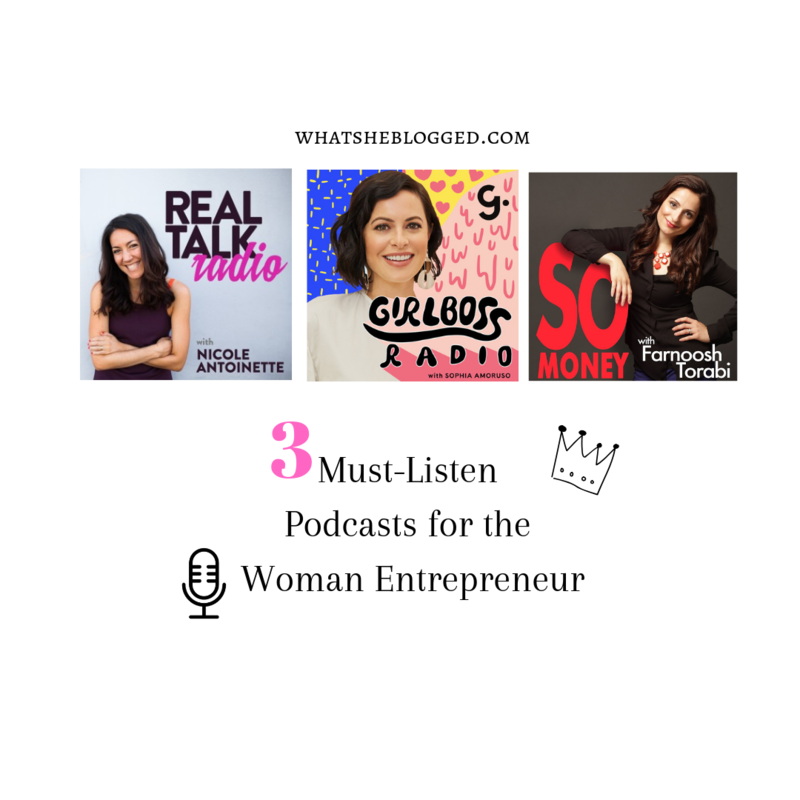 Stay tuned for The Whatsheblogged Podcast, where I talk to the same, great women in business wanting to inspire you to be a force and live out your passions.